Weddings require a lot of planning. Some would even start planning out their wedding years before the event, and this is to ensure that everything goes well when the time finally comes. Weddings usually come only once for the average couple, which is why it is best to make the most out of this special event to make it very memorable. During the planning phase, you will not only plan out for the wedding ceremony and the reception itself, you will also be planning for things that come before that, which includes the wedding invitations that you will need to give out to the people that you want to come to your once-in-a-lifetime celebration. 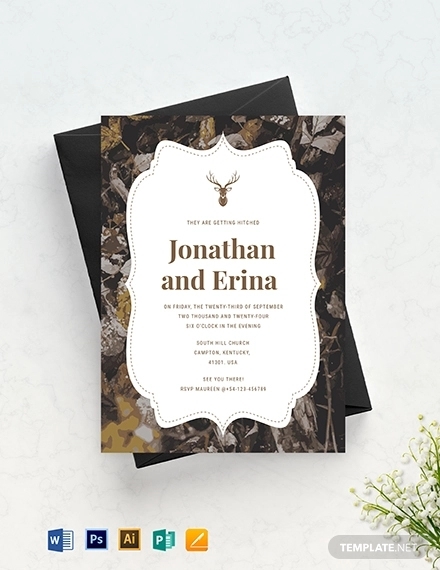 To help you out in the process of making the best invitations for your wedding, we have listed down an easy to understand, step-by-step process on what you will need to do. And to help you out even further, we also have a few tips listed down on what and what not do while making your invitation designs. Read the guidelines below to get you started. For the first step, you don’t necessarily have to go into details with your wedding invitation design, you only need to picture out in your head how you want it to look, what possible materials you will be using, and the color scheme for your invitations. The written information and other details can follow later, the purpose of having to visualize the appearance of your invitation will be further explained on the next step. Similar to what we have mentioned on the process of designing birthday invitations, one of the first few steps will require you to prepare the materials that you will need. While this step can be done later in the process, it is always better to have all the materials and supplies ready beforehand especially after you have visualized the look of your invitations. This is done so that when the design has been edited, you can right away have them printed instead of still having to go out to buy them, but if ever you lack the materials that you need, you will only need to buy those that are lacking, and this will help save you time. 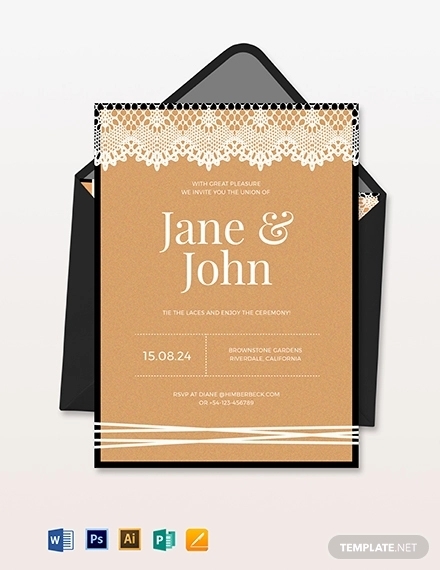 Making a good quality wedding invitation will mean that you will have to invest for more materials than just for plain white paper, which is why after picturing out the look of your invitation in your head, start preparing the things that you will be needing. Wedding invitations are—or should—usually consist of three sections: the save-the-date card, the invitation card, and the RSVP card. The Save-the-Date card is the one that announces that the couple are already engaged and that they are planning on getting married. On this card, you may choose not write the date and time of the wedding since it will also be written on the invitation card, but it is recommended that you do so since the purpose of this card is to literally let the invitee “save the date” from any other commitments. 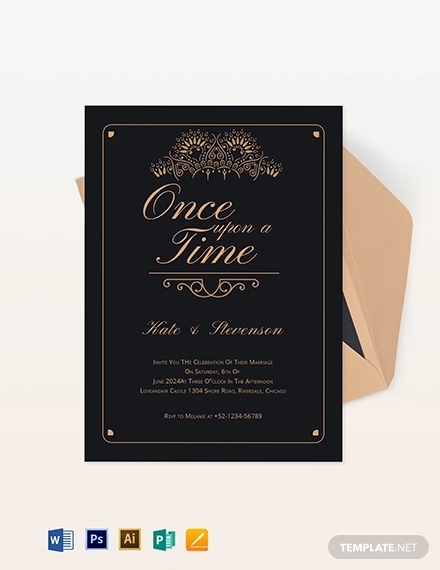 The Invitation card is where all the important details, which includes the name of the to-be-wedded couple, date, time, and venue of the event, though you may be allowed to write more than just those information. 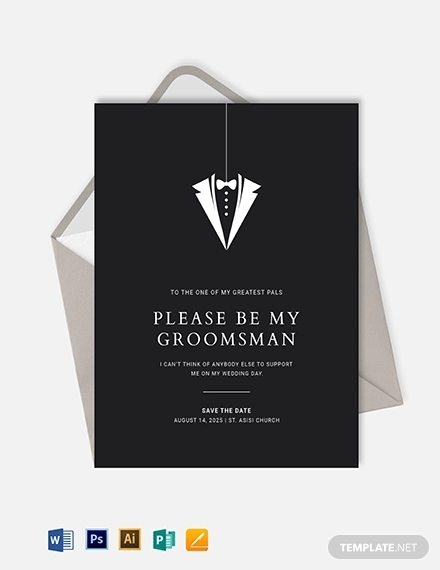 The last is the RSVP card, which is a small piece of card that is used by the invitee to write a response to the host confirming whether or not they will be able to make it to the wedding. Sometimes, the host or the organizer of the event will take invitation cards and RSVP cards as one which could mean that they will have to respond either by sending back the card or by simply contacting the host by other means so they can keep a copy of the invitation. List down the names of the guests that you want to invite to the wedding. This will give you an idea on the estimated number of people that will be attending, and you will also be able to determine whether the accommodation will be enough for the guests or if you will need to make some adjustments. If you make a list of the invitees, it will also help you determine how many invitation cards you will need to print. And after sending out your event invitations, you will also have a guide as to those people who have not responded yet and will need to be contacted for their confirmation. Once you are done preparing the necessary materials, organizing the different sections of the wedding invitation, and listing down the people who you want to come to the event, it is now time to write a draft of the information that you will be writing on the invitation. This step will not take much from you, especially if you have already planned out most of the things about the wedding, and you already have answers to the where and when. The only time when a lot of thinking is required from you is if you wish to include other things on the invitation, such as a short narrative story of how the couple first met, or some inspiration quotes. 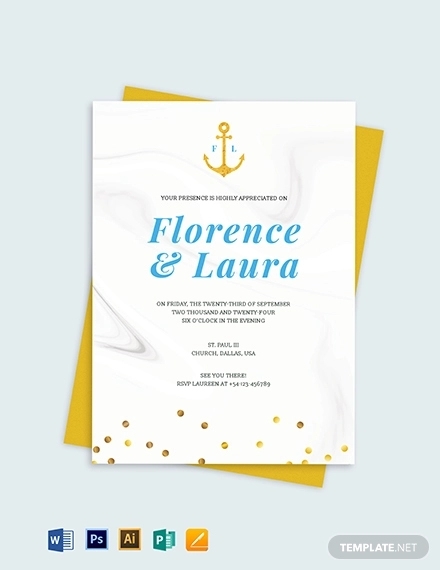 After getting the prerequisites done and you can now proceed to making the actual invitation design, you can start off by downloading pre-made designs from the Internet. While making one from total scratch and just referring to other finished designs for ideas may be the advice from some people since it gives you more freedom to personalize the design, you can always download half-finished ones to save you a lot of time. Creative wedding invitation design templates are available for download all over the Internet and you will just need to search well and hard to find the design that suits your preferences. And once you’re done downloading the design that you need, you are already halfway through your task and you can then proceed to the next step in the process, which is editing the design. 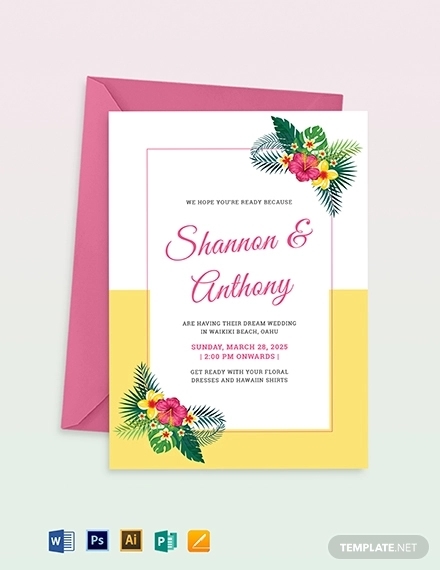 Now, it’s time to edit the invitation design that you have just downloaded, but you will need to check first if you have the needed editing software installed on your system. For most downloadable design templates that you can find on the Internet, they are usually in vector format, which means that to be able to gain the most freedom in editing the design, you will need to install Adobe Illustrator, or CorelDraw, or any editing software compatible with vector graphics to be able to fully edit the design. This way, you can individualize each element and edit only those features that need editing without affecting the rest of the design, and this can also help in preserving the quality of the design. 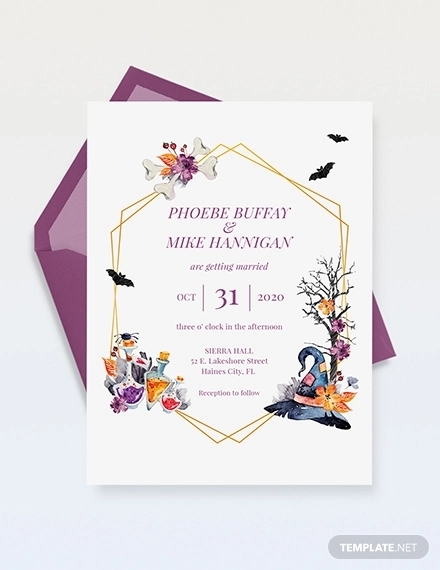 Once you have finally finished editing your wedding invitation design, the next thing that you will need to do is to have the design printed, and you have two options for this. If you have a printer capable of printing in very high quality, then you can have it printed yourself. You will only need to buy some extra supply of ink toner if in case your printer runs out of ink. If you choose to do this, make sure to set your printer’s settings to print at the highest quality possible to bring out the best from your design. On the other hand, if you want to save yourself the time and effort, you can have your design printed by printing companies, but unless you have no other option, this may be a little more costly than having to print the design yourself. Now that you have finally printed out copies of your wedding invitations, you can then proceed to sending them out to the people listed down on your guest list. It is recommended that you start sending out your invitations at least six weeks before the date of the event, and this is to give the invitee enough time to decide and to confirm if they are able to make it to the event. In relation to this, you can have your invitations sent out via snail mail or courier services and just pay them for the task. Another option is to distribute the invitations to your invitees personally, given that their locations are easily accessible, though you may need to exert some effort to do this. Nevertheless, what’s important is that your invitations are able to get to their respective recipients. For reference, you may want to check out our list of the top ten site for wedding invitations. Do list the bride’s name first before the groom’s. This is according to etiquette, that the name of the bride should always come first in the wedding invitation. Do include directions on the invitation, not just the street address, you may even include a small map. This is mainly for the convenience of the invitee, especially if the venue is unfamiliar to some of the invited guests. Do ask for assistance from friends or family members when making your wedding invitations. This can also be applied on other types of invitations, such as birthday invitations, since you can never do it all by yourself. Don’t use more than two typefaces. Having at least three or more types of font on a single wedding invitation may not make the design appear cluttered, but it may tend to mess with the elegance of the wedding invitation, which is one characteristic that this kind of invitation has to have. Don’t forget to attach a stamp on the RSVP cards, especially if you are using the physical version that the invitee should send back to you. However, if you plan on using an online RSVP, you won’t need to do this anymore. Don’t set the RSVP deadline very close to the date of the wedding. While we have mentioned earlier that the best time to send out your invitations is at least six weeks before the wedding, the best RSVP date should be at least three weeks prior. This is to allow the invitee enough time to do a rain check and save the date from other commitments.